I was distracted while reading Honor Girl. The first two chapters orient the reader in the early days of the new millennium; there’s a list of celebrity crushes including Leonardo DiCaprio, Usher, and Justin Timberlake, our narrator is reading Harry Potter and the Prisoner of Azkaban (and later, Goblet of Fire), and her favorite band is The Backstreet Boys. I spent most of the book trying to figure out if I’m older or younger than Maggie Thrash (as it turns out, I’m older by just six months). Near the end of the book a date is shown which confirmed my suspicion, but I had to read it a second time just so that I could experience the book without my self-centered curiosity getting in the way. I’m mentioning this at the top of the review because those little references tethered me to the material in good and bad ways. I’ve never attended an all-girls school or camp, nor have I ever gone to a sleepaway camp. But I remember where and who I was in the summer of 2000. Being able to contextualize Maggie Thrash’s memoir through my understanding of myself at that time allowed me to fully appreciate how she captures a few months in her life when everything and nothing changed. It’s beautiful and nostalgic. In our first round of Pyrite voting a couple of you gave Honor Girl your first place slot. With three stars and solid content to back it up, it’s not a longshot for the RealPrintz but there are a few things that will probably keep this one from the winner’s circle. Diversity in YA has received a lot of attention recently, thanks to the #WeNeedDiverseBooks hashtag that’s evolved into a formal organization for activism and awareness. 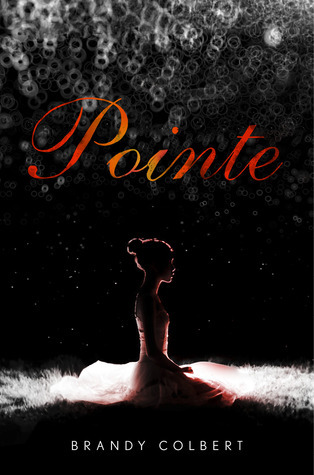 Brandy Colbert’s debut YA novel, Pointe was published just two weeks before the influential hashtag was born. Excellent timing because Pointe isn’t only a novel with a narrator of color; it’s a novel that places its protagonist in a world that’s known for its issues with women of color. Seriously, just google “where are all the black ballerinas;” you will see an alarming number of results. 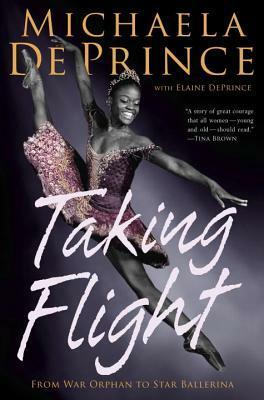 If you needed further proof, you could look at Michaela DePrince’s recently published memoir, Taking Flight: From War Orphan to Star Ballerina. Each book earned a star from Publisher’s Weekly, which would make them under-the-radar contenders for the Printz. And although they are quite different in the way ballet is utilized as part of the narrative, we’ve paired them for this post because they offer contrasting viewpoints, and it’s a diversity of voice within very specific parameters. I was diagnosed with Celiac disease on Halloween eight years ago. That’s eight years of politely saying, “no, thank you” when offered a delicious pastry, forgoing mom’s signature stuffing on Thanksgiving, and checking restaurant menus ahead of any dinner out with friends. As anyone with food issues can tell you, the hardest part of having a restricted diet is adjusting socially and emotionally. Lucy Knisley perfectly defines the value of food in Relish: “When we eat, we take in more than just sustenance.” She’s actually describing the cultural immersion through food she experienced in Japan, but the statement resonates because it’s about the complex role of food in our lives. 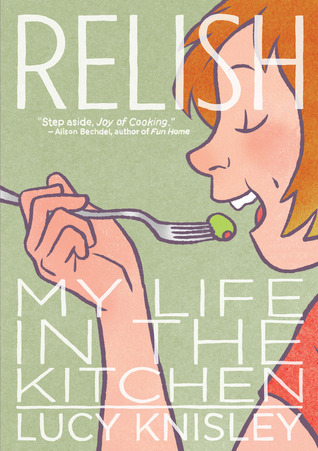 Relish has only received one star (from Publisher’s Weekly), but it’s one of my favorite titles of the year. Yeah, it speaks to me because I have a lot of complicated emotions about food, but it’s also charming and witty, earnest and playful, and it has illustrated recipes that will make you want to run to your kitchen and start cooking.